Ted Suen has 30 years of solid experiences in Information Technology with strong expertise knowledge in IT outsourcing services and large scale system integration projects. 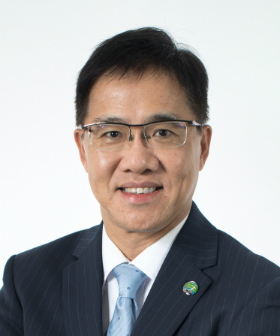 Ted is the Chief Information Officer of MTR Corporation. In this capacity, he is responsible to formulate the corporate IT strategy, manages the overall MTR corporate IT function, directs the establishment of a stable, reliable and highly effective IT environment to support the business operation and to ensure Information Systems solutions are in-line with corporate business strategies. Prior to this position, Ted had held various senior regional management positions in different multi-national corporations, including Managing Director of EDS Hong Kong, Regional Director of Greater China and Korea of IT Outsourcing services of EDS, Regional Director of Asia Pacific Global Best Shore Services of Hewlett Packard. Ted graduated from the Australian National University with double degrees in Economics and Science. He also holds a Master Degree in Accountancy and Graduate Diploma in Banking & Finance. Ted is a Fellow member and President of the Hong Kong Computer Society, and a Fellow member of the Hong Kong Institution of Engineers. Ted was recipient of several prestigious IT awards in the last few years including the 2012 China Top 5 CIO Award, the 2013 China Best Value CIO Award, the 2013 Hong Kong Outstanding Performance IT Award Excellence, the 2013 Hong Kong CIO Award for Large Enterprise, and the 2014 Asia CIO Award.